Seat held a presentation of the new flagship - the 7-seat crossover Tarraco, which has a place in the line above the off-road vehicles Ateca and Arona. The debut car took place at a special event in Tarragona, Spain. The basis of the novelty is a modular base from Volkswagen named MQB A, present in Skoda Kodiaq and Volkswagen Tiguan Allspace. 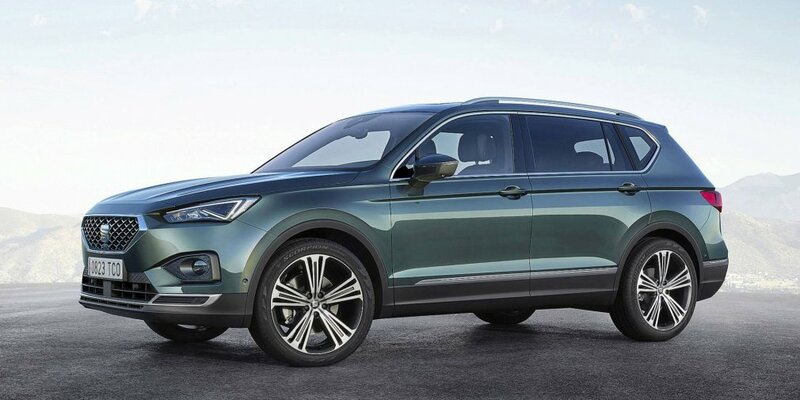 In size, the crossover in length is 4.735 m, height - 1.658 m, with a wheelbase of 2.8 m.
Seat Tarraco will appear in the 5 and 7-seat salon to choose from. The luggage compartment will be 760 liters in the first variant, having folded the rear seats, the volume grows to 2000 liters. First, the novelty will be sold with 4 engines. The basic one is a 1.5-liter "turbo-quarter" with the power of 150 "horses" and a front-wheel drive and a 6-speed MCP. Another 2.0-liter 190-hp motor will appear with a 7-step "robot" for 2 clutches with the all-wheel-drive system. Among the types of diesel, there are two units of 2.0 liters with the power of 150 and 190 hp. Each such option is equipped with an all-wheel-drive transmission. Next, a hybrid version of the cross follows. For the Seat Tarraco, a new Rollover Assist security feature has been prepared. Inside, there is a fully digital "assembly" Virtual Cockpit. Seat Tarraco will begin sales in late 2018. A huge SUV will be produced at the Volkswagen plant in Wolfsburg, Germany.